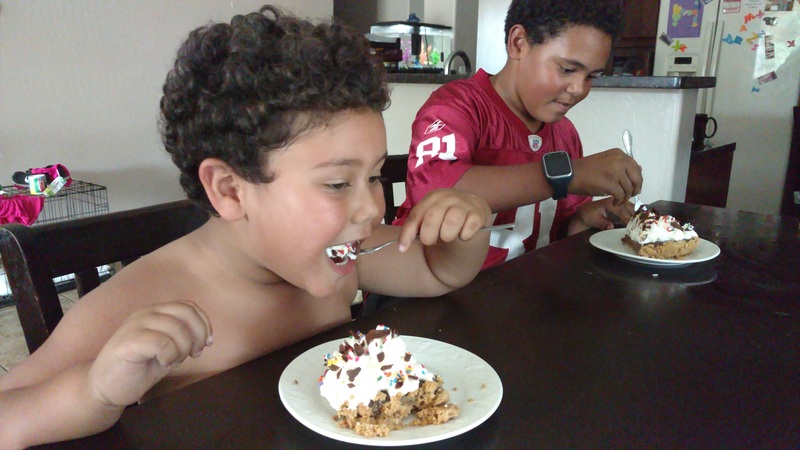 My guys got to taste the yummiest chocolate cream pie from Janina’s Pie Shop here in Surprise Arizona. It was melt in your mouth good. 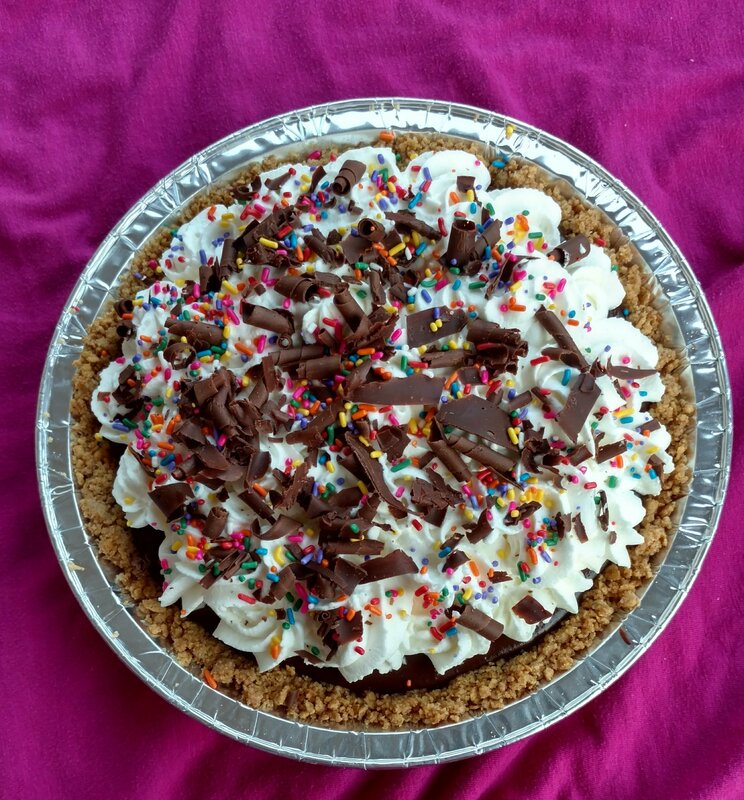 The chocolate cream pie was silky and had the most delicious graham chocolate crust. This pie was worth having for dinner. That’s exactly what my kiddos did, Pie for dinner. If you ever get out to Surprise AZ make sure you grab a pie. Janina’s number is (928) 679-5172. Her a email janinaspieshop@gmail.com. To see some more of her creations swing on over to Janinaspieshop.blogspot.com. Her pies are award winning and she has been the recipient of first place in many pie contests and even featured on TV. Trust me you will not be disappointed and in the words of Alijah It makes the belly happy.